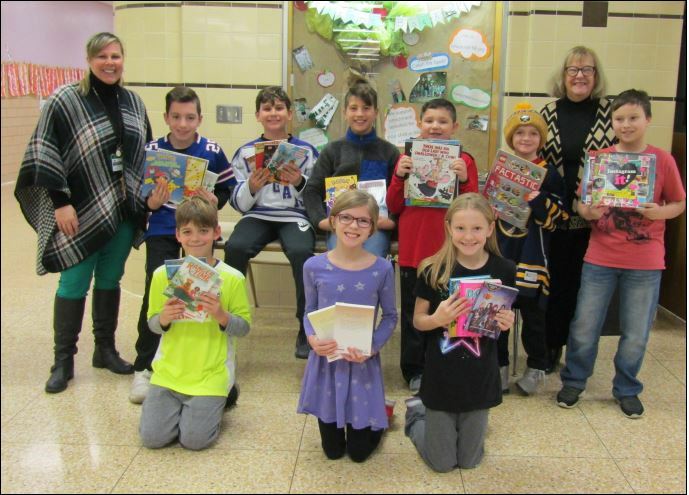 Children from the Lewiston-Porter Intermediate Center were given the opportunity to donate money at their recent Scholastic Book Fair. The Child Advocacy Center of Niagara is extremely grateful to be the recipient of their generous donations! Children were each given bags attached to their Book Fair announcements and were asked to place pocket change, dollar bills, or any amount they wanted to give so that books could be purchased for the children we serve here at the CAC. On behalf of the children who utilize the services of the Child Advocacy Center, we would like to express our deepest gratitude to the students of Lewiston-Porter Intermediate Center as well as the faculty who participated and gave so kindly to the CAC!